It’s time for another tag! I’ve never done the 20 Questions Book Tag before, so this is an especially exciting one for me. Thanks so much to Jenna @ Bookmark Your Thoughts for tagging me! I think it really depends on the series itself, but generally it takes an exceptionally great story to extend past the length of a trilogy in my opinion. One of my biggest pet peeves is when series drag on for books and books after the core of the story has been told. I love them! There’s nothing better than ending on a chapter with a cliffhanger that makes you want to keep reading until the very last page. Definitely paperback! Not only are they cheaper to buy, but they’re also more comfortable to hold and easier to transport. This is such a difficult question! 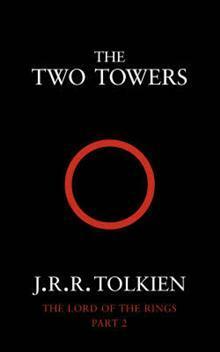 I think I’m going to have to go with The Two Towers by J.R.R. Tolkien since it’s my favorite book of my favorite series. This is also a difficult question! 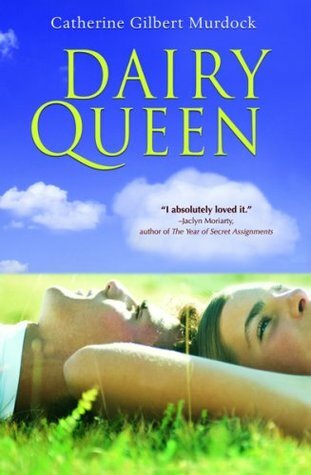 I usually don’t give up on books once I start reading them, but one book that I just couldn’t get through is Dairy Queen by Catherine Gilbert Murdock. It was painfully cheesy! NO. I think love triangles are a really lazy way to create some sort of semblance of a plot. I don’t often put down books once I’ve started reading them, so the last one I didn’t finish was probably Dairy Queen a few years ago. Oliver Twist by Charles Dickens. Unfortunately, it’s taking me a long time to read because other books keep distracting me. I’m hoping to finish it this weekend! 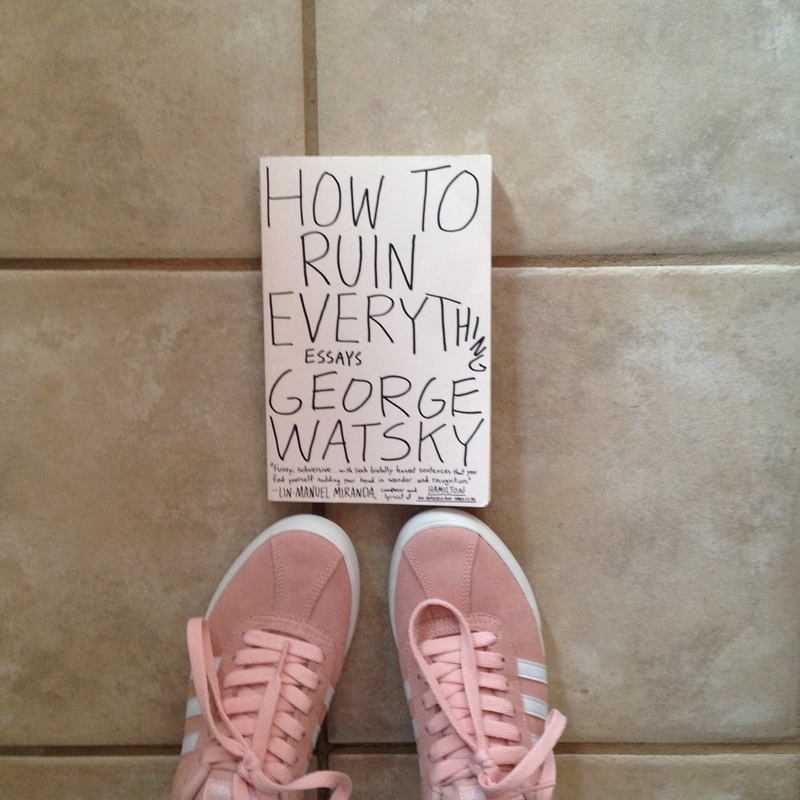 Probably How to Ruin Everything by George Watsky because I talk about it all the time. The Epic of Gilgamesh, which dates back to 2000 BC. 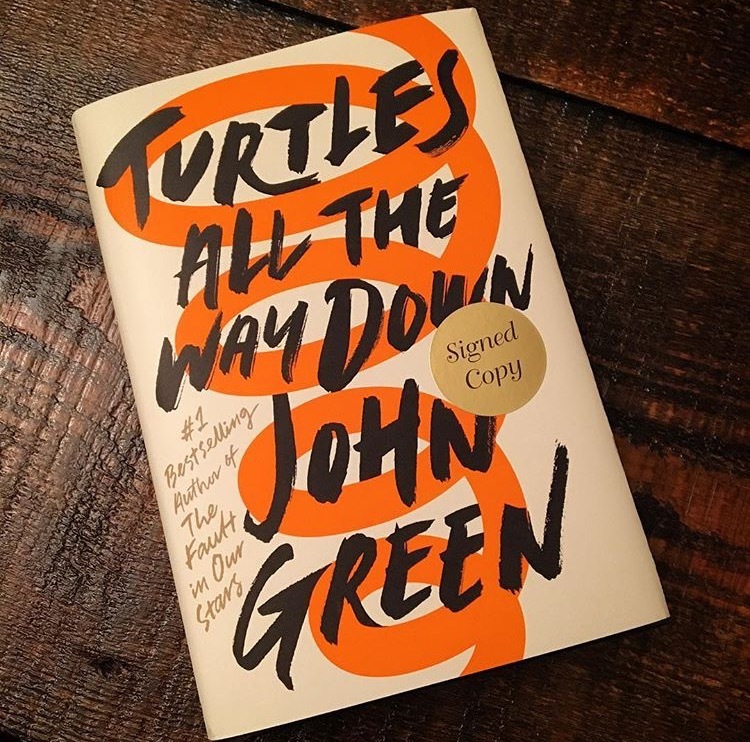 Turtles All the Way Down by John Green, which was published on October 10, 2017. Another really difficult question! I have so many favorite authors, but at the moment I would have to go with William Faulkner. He’s such a fascinating writer! Ideally: buying books. Realistically: borrowing books. Anything by William Shakespeare. As you know if you’ve read this post, I’ve never been a huge fan of the Bard despite the fact that everyone else seems to be. Jellicoe Road by Melina Marchetta. I love it even more every time I come back to it. Yes! As long as it’s a song I already know and not something completely new. I’m usually pretty good at blocking out noise while I read. I love reading books with multiple POVs as long as it’s done well. Otherwise, I would much prefer just sticking to one POV. I LOVE reading books in one sittings if they’re short enough, but the vast majority of the books I read take me longer than a single day. So many! (I’m an awful impulse buyer in bookshops.) 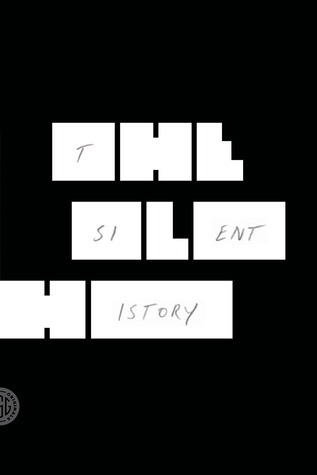 I remember buying The Silent History by Eli Horowitz, Kevin Moffett, and Matthew Derby because I thought the cover was so cool. It ended up being an okay novel, but not one that I would likely reread. Thanks again to Jenna for tagging me! Great answers! I agree with most of them and by the way you’re so lucky you can read while reading music, I can’t and I hate it! I used to not be able to listen to music while reading, but after a while I got used to it. Now I prefer it, especially while doing homework. I never finished Oliver Twist even though I loved it due to its massiveness. Thanks for reminding me to try it again! YES SHAR YES I completely agree with you about teaching Shakespeare in schools. A good background in it is important, but it certainly shouldn’t be ALL we read in class! I finally got to read this!! I was SO behind on catching up on blogs. I swear…it’s going to take me all of January to catch up on everyone’s blogging. Any who…love your answers! I do love paperback, but there’s just some books I NEED the hardcover ha-ha. Did you finish Oliver Twist?